Late this July Alacrity Canada welcomed Mike Manson, Gireenda Kasmalkar, and Saurabh Lahoti from Alacrity India. Our visitors enjoyed a full day in Victoria packed with meetings with our portfolio companies, Alacrity Chairman Owen Matthews, & Managing Director Richard Egli. The day culminated with a fireside chat on the Summit rooftop. Alacrity India visit from Alacrity Canada on Vimeo. 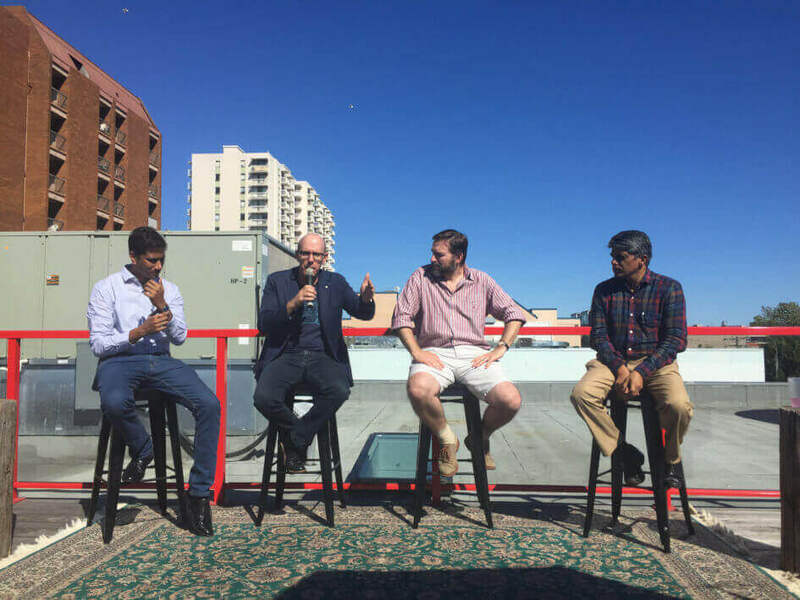 While numerous discussions surrounding the Indian tech scene were had throughout the day, the key theme of the rooftop discussion was that companies with global aspirations can no longer ignore India. With 1.3 billion people and the fastest growing economy in the world, India constitutes an incredible opportunity for Canadian tech companies.